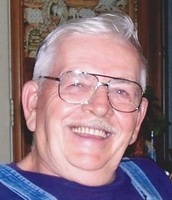 Charles William "Bill" Kenworthy Sr. Provide comfort for the family of Charles Kenworthy with a meaningful gesture of sympathy. Charles William "Bill" Kenworthy Sr., 81, of Martinsville, went to be with the Lord on December 15, 2018. Bill was born to Harold Chester and Margaret Elnora (Poe) Kenworthy on May 6, 1937 in Mooresville. He graduated from Mooresville High School in 1955 and served honorably in the National Guard for eight years. He married Theresa (Minardo) Kenworthy on November 1, 1957. Bill is survived by his loving wife of 61 years, Theresa Kenworthy of Martinsville; two sons, Charles William (Joanie) Kenworthy Jr. of Brazil and Timothy Lee (Carrie) Kenworthy of Mooresville; ten loving grandchildren, Rebecca Bennett, Kathrine McDill, Ben McDill, Miranda Wamsley, Savannah Jackson, Elizabeth Wamsley, Tamica Bastin, Charles William Kenworthy III, Kaylah Southerland and Chad Kenworthy; 20 loving great-grandchildren, Kaitlynn, Meghan and Hunter Bennett, Allison Bastin, Drake and Mia DeBruhl, Stephen, Isabella, Lillian and JulieAnn McDill, Layne Hyatt, Damian Zimmerman, Leah, Jesse-Marie, Lacy and Elizabeth Southerland, Ryan, Jacob and Tyler Kenworthy and Bently Rawlins. He is preceded in death by his parents; a daughter, Julie Wamsley; infant brother, Bruce Harold Kenworthy; and an infant sister, Jane Ann Kenworthy. Bill worked as a Group Leader for Eli Lilly Company in Indianapolis for 36 years, retiring in 1993. He was a lifetime NRA member. He enjoyed hunting, fishing and playing cards. He lived in Martinsville for 46 years and his birthplace of Mooresville for 35 years. Family and friends may show their love and support from 4-8 p.m. on Wednesday, December 19th and 9:30-10:30 a.m. on Thursday, December 20th at Jones Family Mortuary in Mooresville. Father Francis will officiate Bill's celebration of life service at 10:30 a.m. on Thursday, December 20th at the funeral home. Bill will be laid to rest at White Lick Cemetery in Mooresville. To send flowers in memory of Charles William "Bill" Kenworthy Sr., please visit our Heartfelt Sympathies Store. Provide comfort for the family of Charles William "Bill" Kenworthy Sr. by sending flowers.